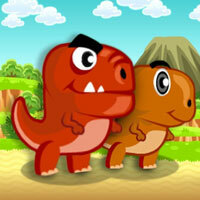 Dino Meat Hunt Dry Land - 2-person style adventure dinosaur game is quite simple, easy to play and attractive on GameVui. 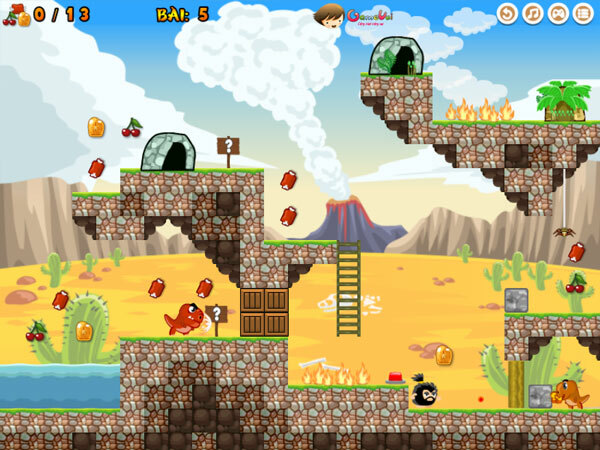 With the same gameplay as Fire and Ice Y8 game, the main task of the player is to control 2 dinosaurs in red and orange, move through different areas on the map, hunt for prey pieces like meat fruit..
Take note of the types of pitfalls and obstacles on your map, take both the big and small dinosaurs to the shelter safely. Game Dino Meat Hunt Dry Land played 9 times.